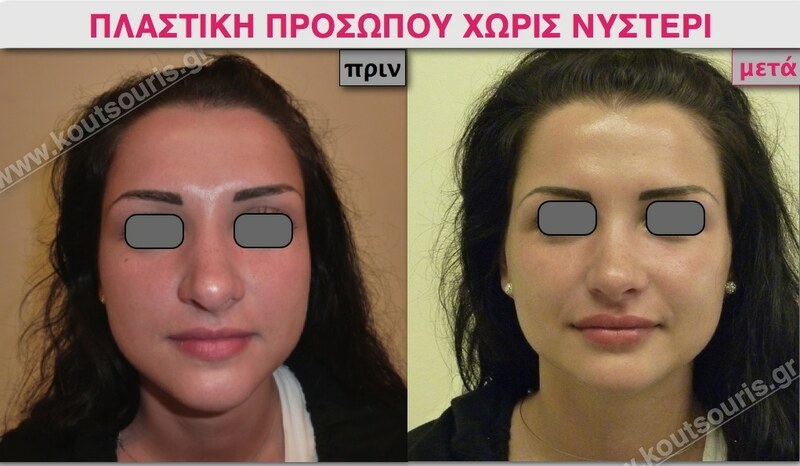 Face Lift without surgery is one of the most modern, effective and safe treatments Cosmetic Medicine has to offer. It is a combinatorial, alternative treatment, able to achieve a natural look without the need for someone to undergo surgery. 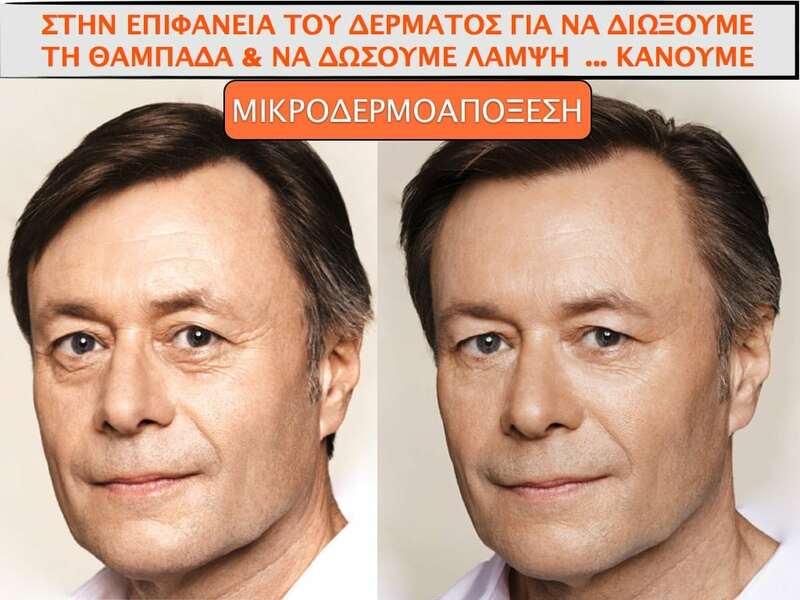 But what exactly is the «Non-Surgical Face Lift» and how can it help us improve our image? 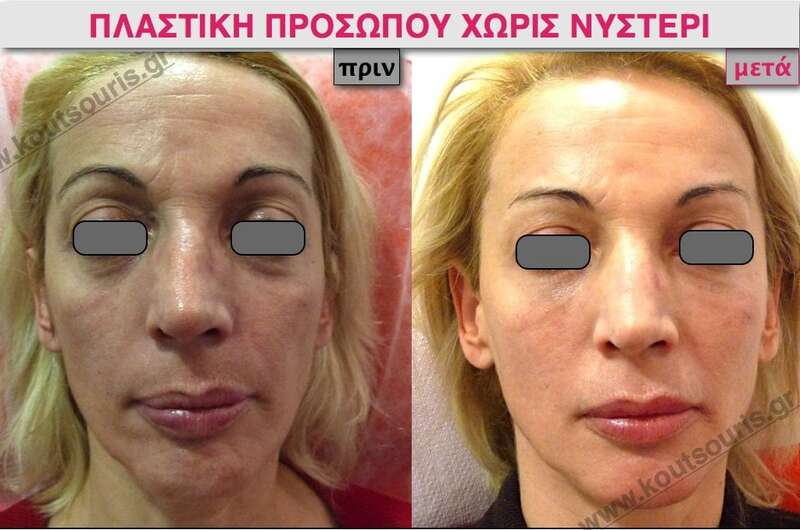 The Non-Surgical Face Lift is a contemporary version of the Cosmetic Plastic Surgery concerning –of course- all men and women. In particular, Botulinum toxin and Hyaluronic Acid are used in conjuction with Microdermabrasion, Mesotherapy and whitening Laser and tissues’ reconstruction Laser. Those techniques correct wrinkles and shape the face contour and features. 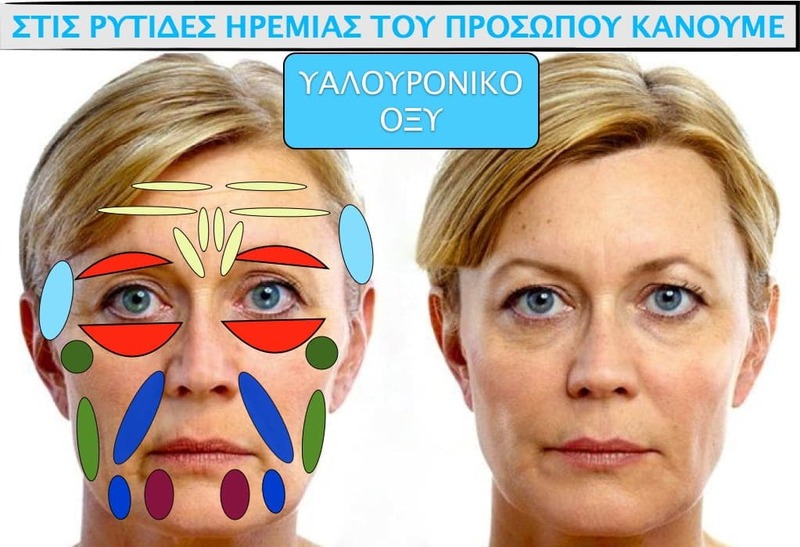 We should first understand what makes a face look older, if we are to help a face get rid of the age spots. 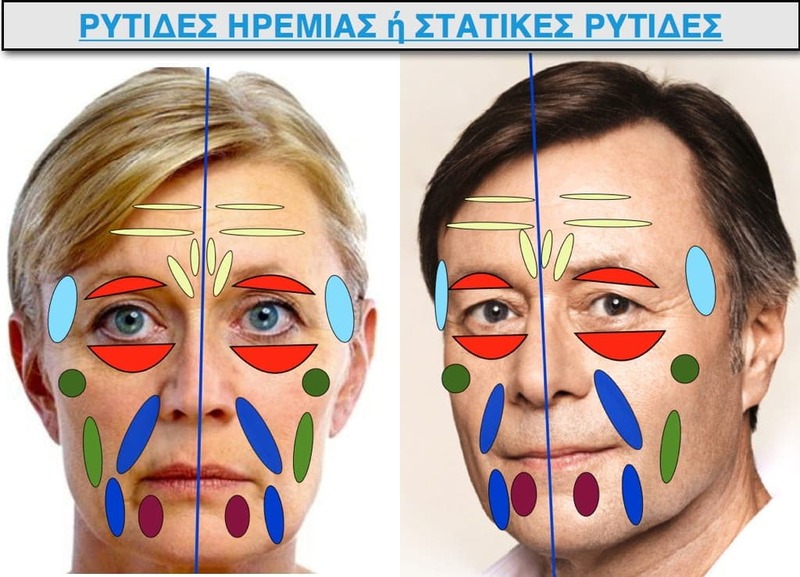 What exactly are age spots on a face and what exactly is what makes, for instance, the faces on the photo below look like that? The answer is usually very difficult for most of you. Most would talk about the anti-aesthetic wrinkles, small or deeper, that are engraved on the face and they are responsible for the loosening of tissues, haziness or the spots on the skin’s epidermis. In fact, it is a combination of all the conditions mentioned above. 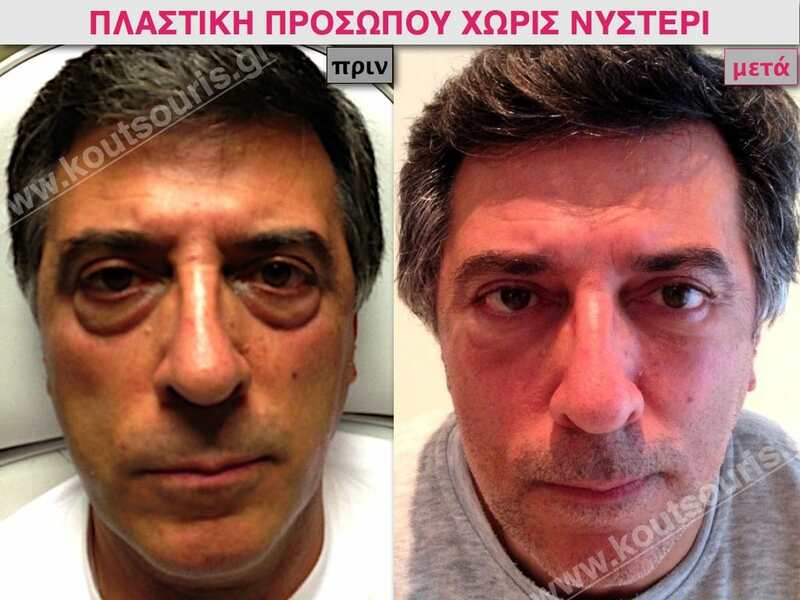 In Plastic Surgery we can say that aging and tissues’ damage can be spotted in both superficial and deeper tissues. Dynamic Wrinkles and Static Wrinkles. 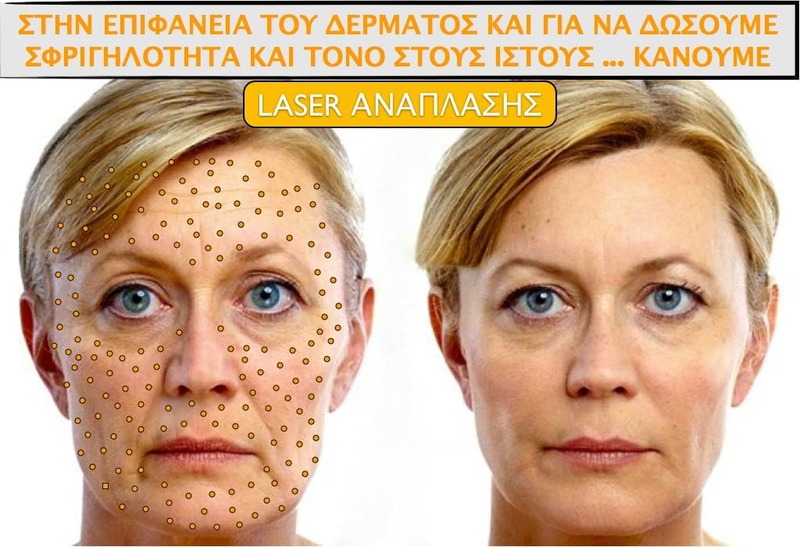 Sun Damage (Premature aging of skin). 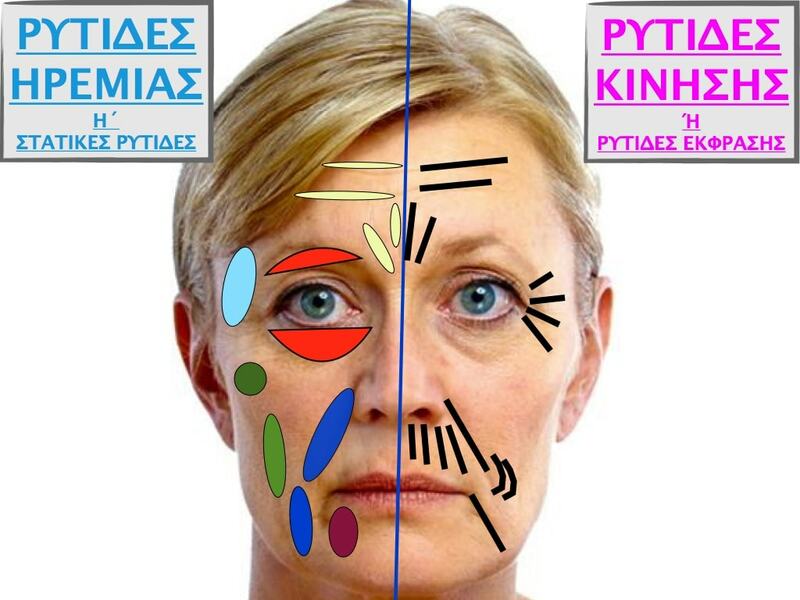 How many wrinkle types do we have on a face? 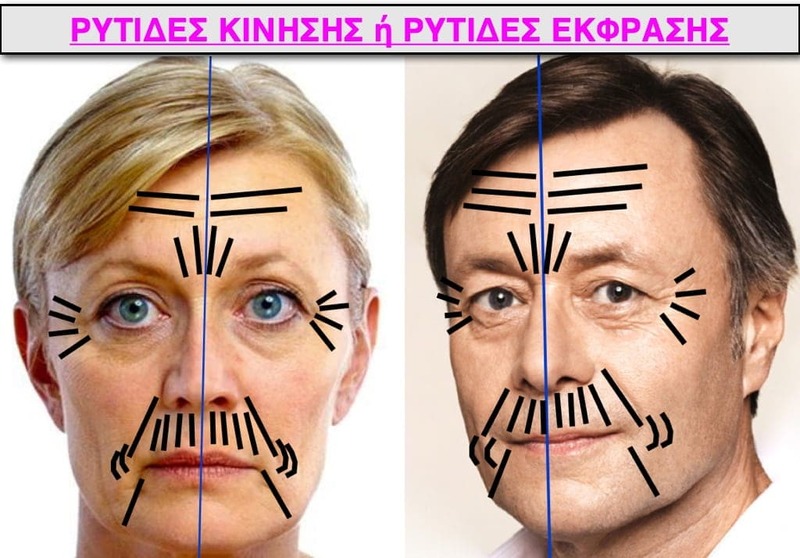 They are wrinkles appearing on the glabella, the forehead, the crow’s feet on each side of the eyes, on the mouth’s corners (“laugh lines” on the naso-malar grooves, “smoker’s lines” on the upper lip). 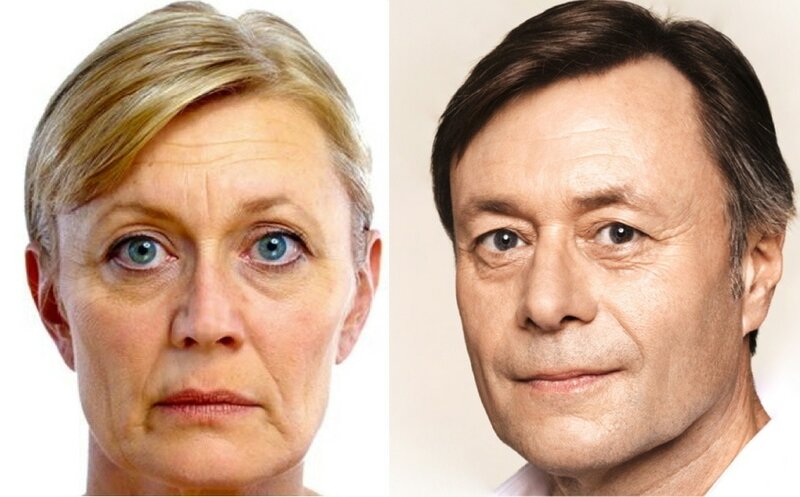 Those wrinkles are called «DYNAMIC» wrinkles because they do not exist when the face is calm, but are only formed when the muscles underneath that skin area move. The repeated muscle contraction is the reason why those deep wrinkles are formed. 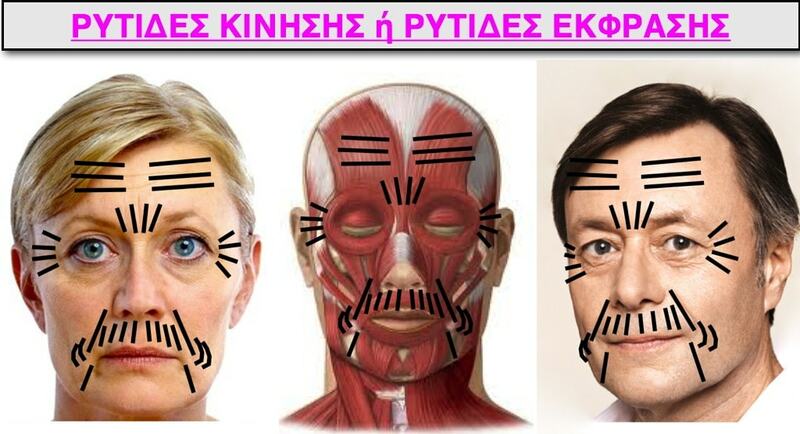 Also, they are the cause of the transformation of a calm and harmonic face into a more tired and aged one. Static wrinkles are normally deep wrinkles or atrophic spots, causing tissue deficit. These can be observed in one’s face when he/she is not moving. 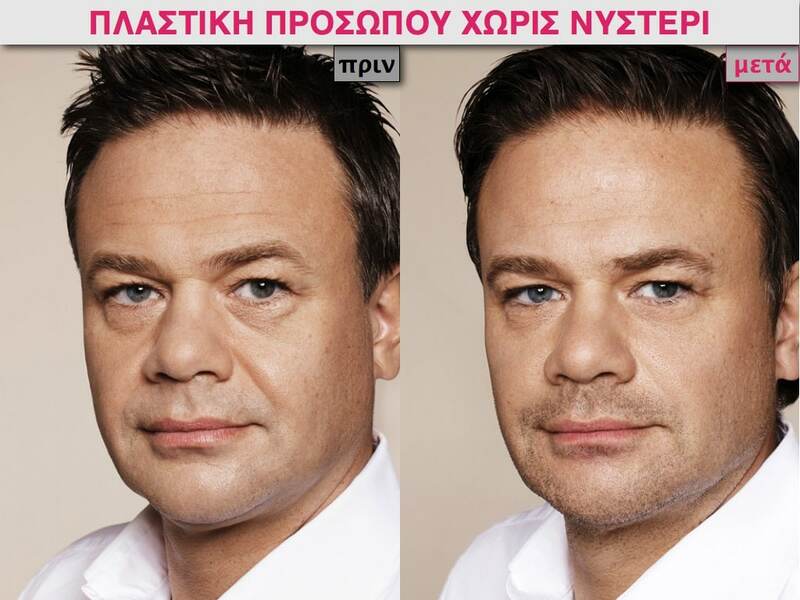 Over the years, skin is getting thinner and tissues flaccid. As a result, deep wrinkles and atrophic spots are created on the above face areas. The constant motion of the face muscles along with the thinning and dehydration of the tissues, leads to more and more deepening of the static wrinkles, as well as triggers flaccidity. Therefore, we can argue that in every face there are dynamic wrinkles, and if muscles are moved, then static wrinkles are added. 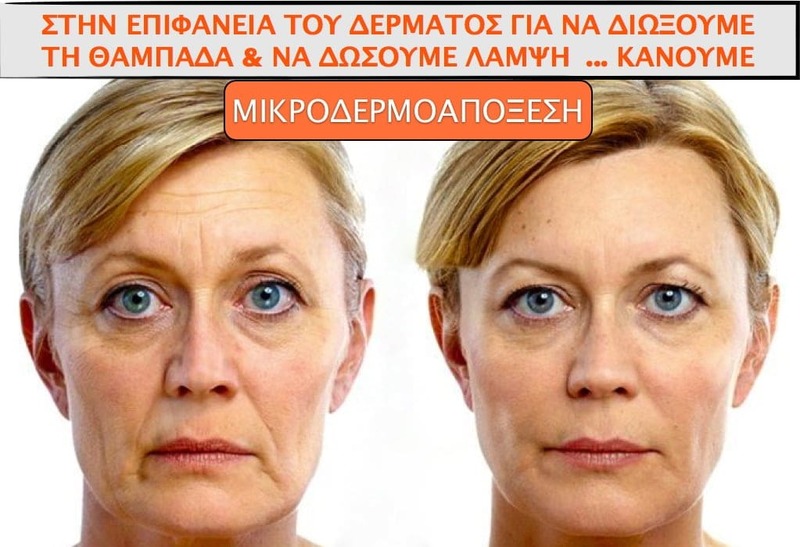 What exactly is the Sun Damage (Premature ageing) of the skin? We tend to use this term when referring to the anti-aesthetic pigmented deformations that appear over time on the skins epidermis. The damage provoked by the sun is therefore the appearance of sunspots, blotches, discolorations, freckles, melisma and in general hyperpigmentatious skin damages that stain our image and deprive our face of its clearness. 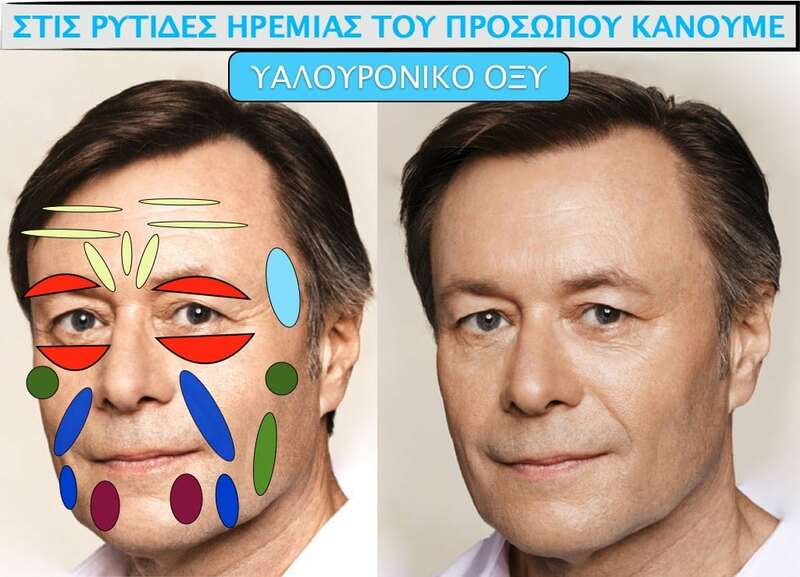 If we understand what is going on in our skin as time goes by, we can intervene applying all contemporary, extremely safe and effective Plastic Surgery treatments and this way, give our face a totally natural look, freshness and vibrancy. 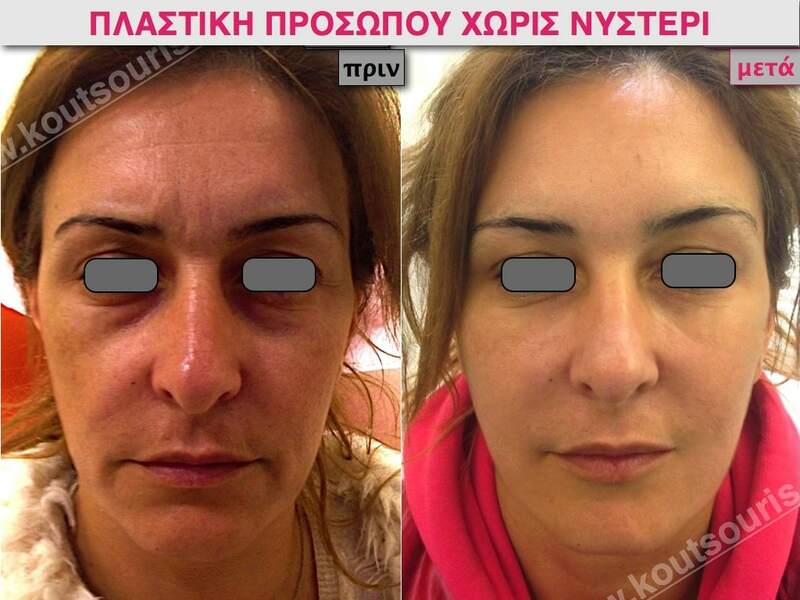 How exactly is the Non-Surgical Face Lift performed? Hyaluronic Acid in precise spots on the face. ƁOƬOX (Botulinum toxin) is a natural, processed protein used to constrain the muscles’ activity and deal with the facial wrinkles (glabella wrinkles, crow’s feet, forehead lines). 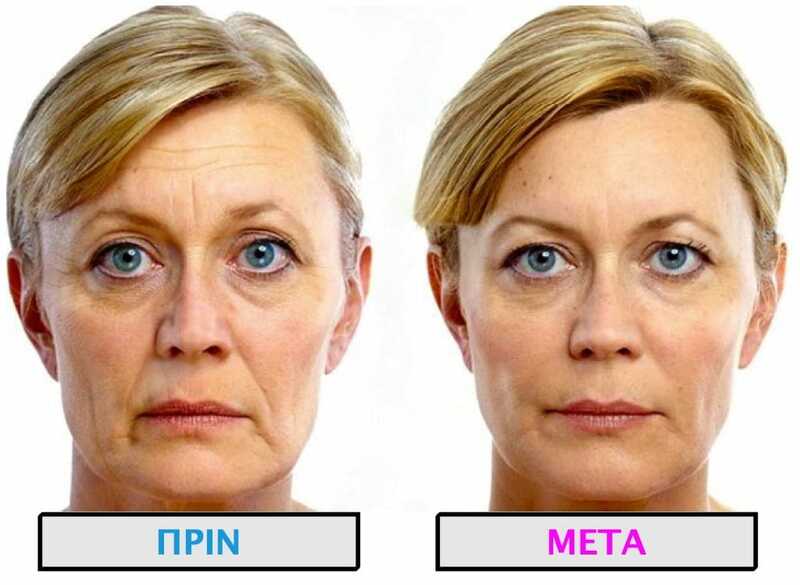 Basically, Botulinum toxin makes the muscles causing wrinkles temporarily inactive. 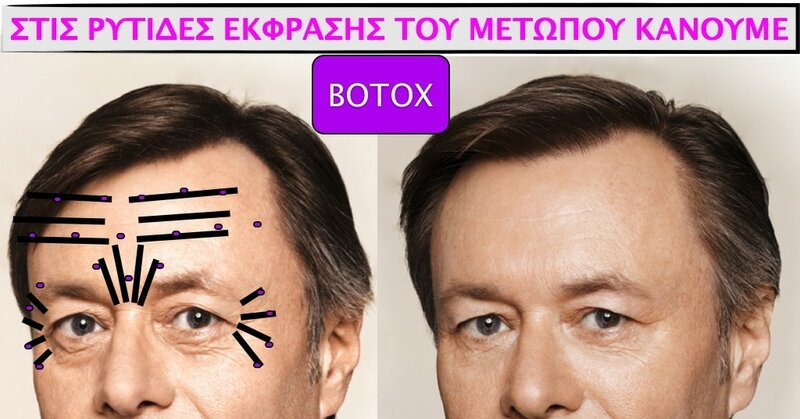 As a result, the deep lines on the glabella, the forehead and the «crow’s feet» reduce dramatically, or even completely disappear. 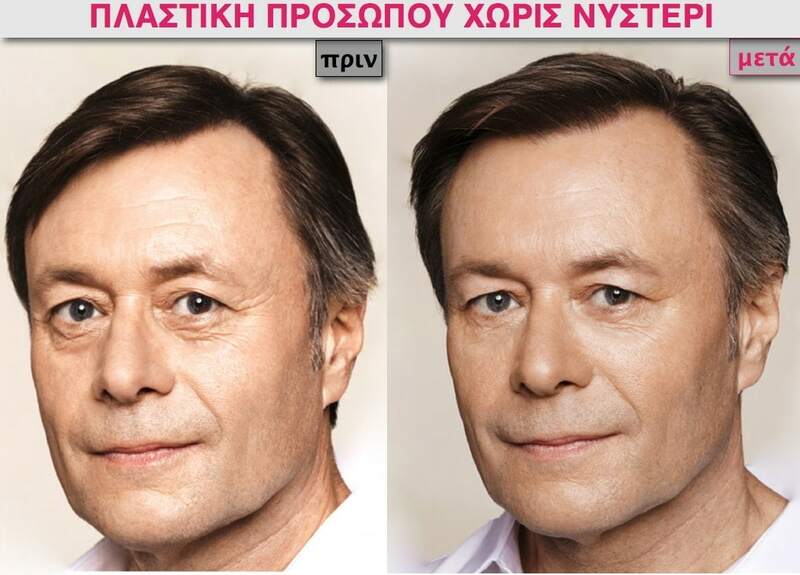 The result is obvious after some days and lasts from 3 to 6 months. 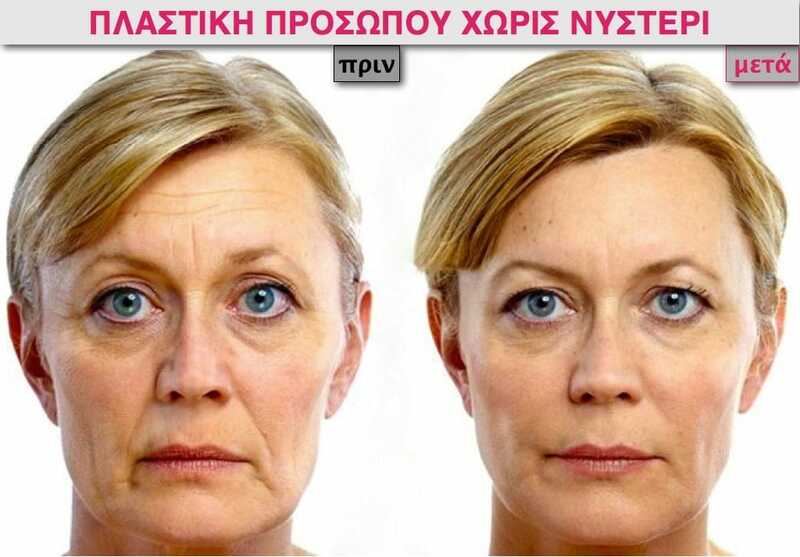 The face is free of dynamic wrinkles and looks fresher and more relaxed. The Hyaluronic Acid is capable of storing great water quantities (even its weight x1.000) and is widely used nowadays as a wrinkles’ filler, as well as deep moisturizing of the epidermis due to its hydrophilic nature. The treatment is personalized so that the type, the quantity of the material and the application areas is the right for each and every patient. Using the Hyaluronic Acid, we can eliminate any unsightly wrinkles in the peri-oral area; enhance black circles under the eyes and correct asymmetries and hollows. We can also restore to a great extent the tissues’s fall or flaccidity and re-design the face contour, thus achieving a healthier, younger and brighter image. 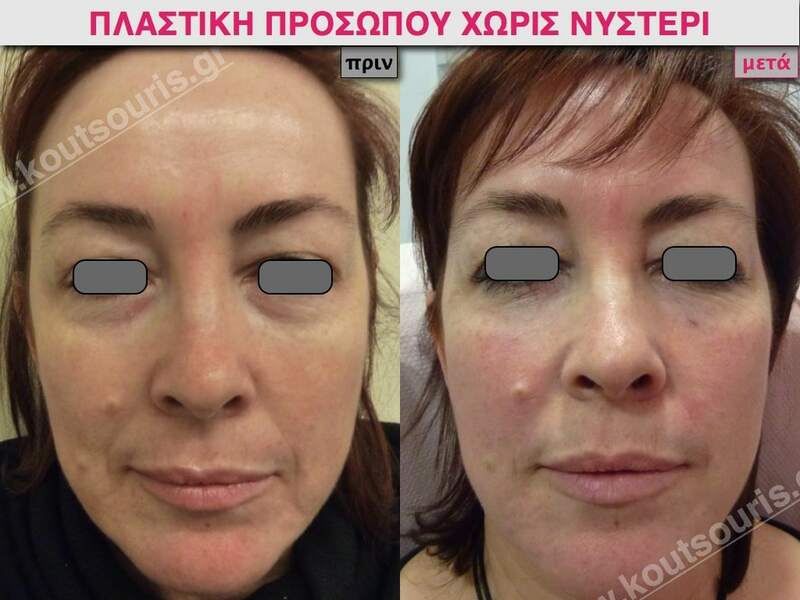 By the simultaneous application of both Botulinum toxin and Hyaluronic acid, we manage to improve our face image approximately 70 to 80 per cent. In this treatment phase, most individuals are particularly happy. Laser Skin regeneration for the improvement of the skin’s texture, hydration and elasticity. 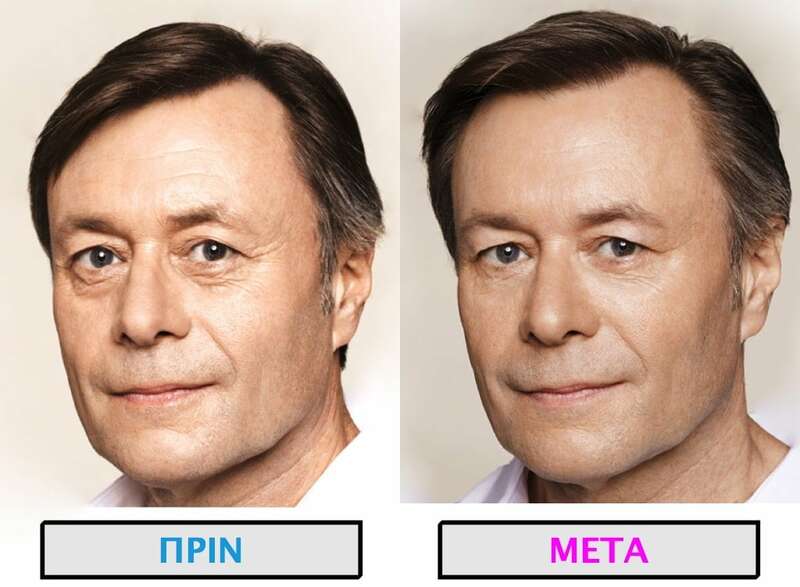 After all, Mesotherapy itself (as its name indicates Meson=Medium in Greek) targets directly in the medium layer of the skin. It is an injectable treatment of a vitamin-mineral-enzymes-synenzymes-trace elements-amino acids solution. All those substances have proven anti-ageing and regenerative properties. 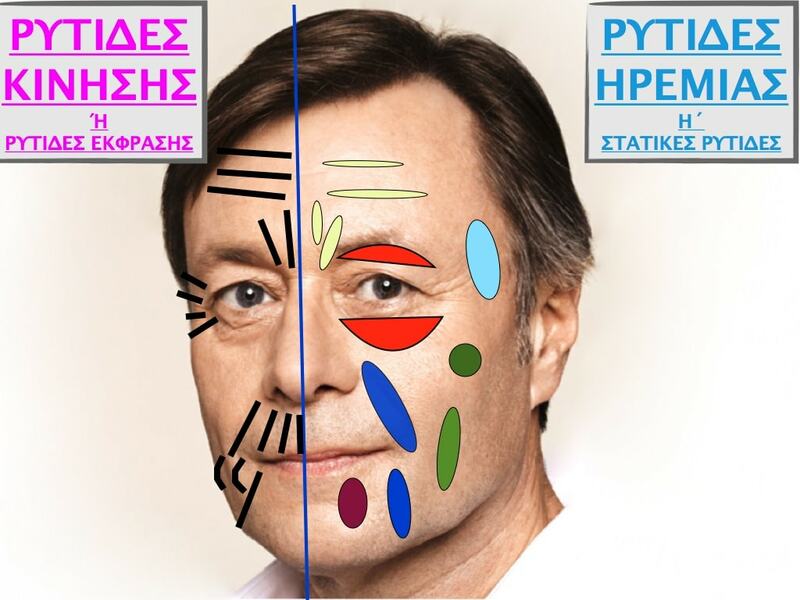 Μicrodermabrasion aims at the removal of the outer layer of the epidermis through a mechanical exfoliation of its dead cells. It is a treatment that, taking advantage of technology, helps our face be free of any unsightly skin “haziness” and shine bright and rejuvenated. This happens through micro traumas on the skin’s surface with the microdermabrasion device. This way, the renewal of the epidermis is stimulated, as well as attenuation on the fine superficial lines and on mild skin discoloration. The use of Laser Skin Whitening enables us to give an innovative solution on the problem of mild and medium Sun Damage (i.e. hyperpigmentation, blotches, flecks, discoloration and Brown Spots that tend to aggravate upon sun exposure and turn our skin stained and hazy. 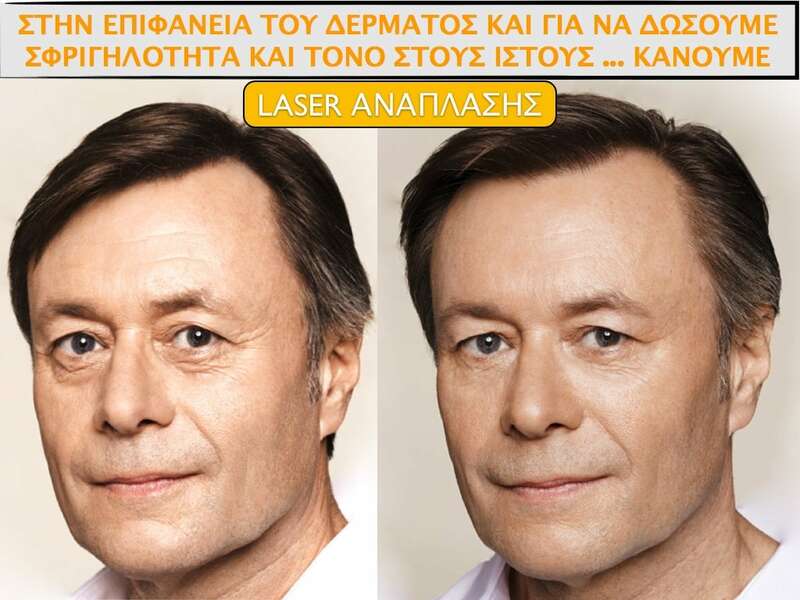 Skin Whitening Laser is one of the most contemporary lasers of the Cosmetic Medicine. Its use can naturally, radically and in-depth regenerate the skin. 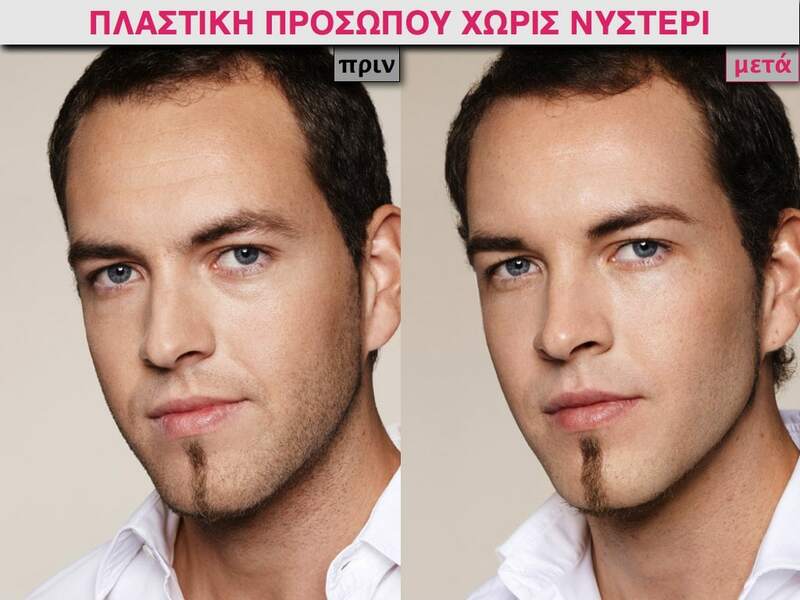 At the same time, it improves flaccidity and improves the fine superficial lines of the face. 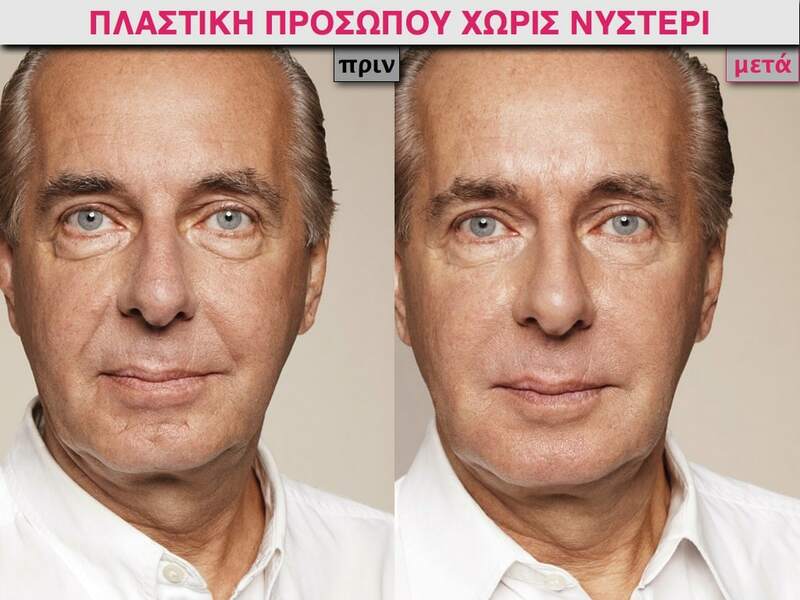 It is the most innovative solution for non-surgical rejuvenation, tightening and toning of the facial skin.